On Thursday evening March 28th, join the Kentucky Folklife Program when they present Latin Grammy-winning Cuban musician Renesito Avich in WKU’s Fine Arts Center Recital Hall 189 at 7 pm. Renesito specializes in the Tres Cubano, or Tres, the quintessential Cuban instrument that gives traditional Cuban music its iconic sound. This event is free to the public!! Hope to see you there! In addition to the public performance, master classes for WKU students will be presented by Avich on Wednesday the 27th at 4:00 pm and on Thursday the 28th at 9:30 am in The Gordon Wilson Theater Lab on campus. 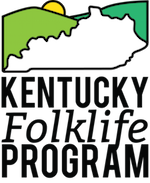 The Kentucky Folklife Program, thank their many partners for making this performance possible including South Arts, WKU Office of International Program: International Year Of Cuba, the Department of Folk Studies and Anthropology, WKU Department of Theatre and Dance, and WKU Department of Music.